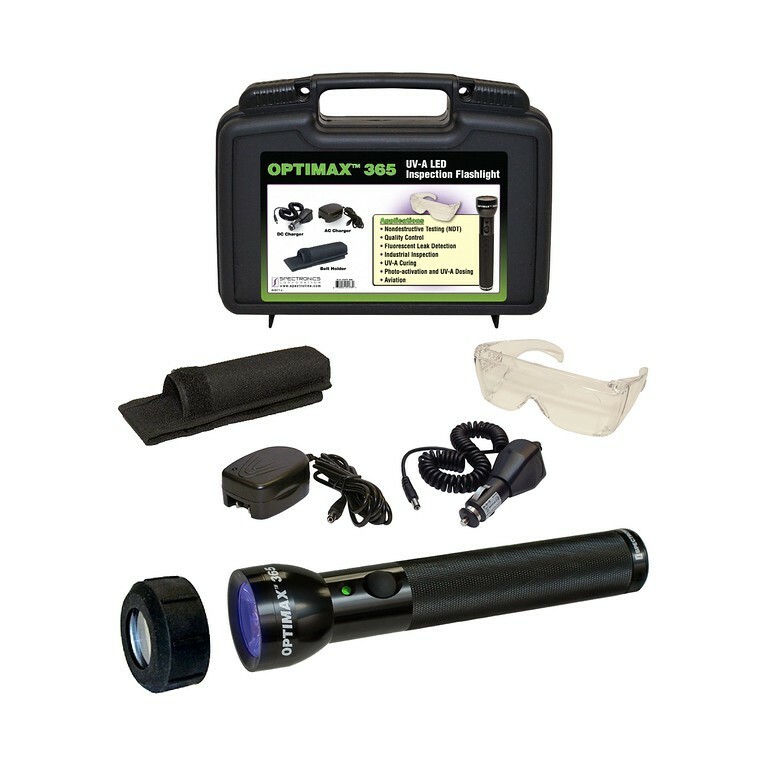 Features state-of-the-art, ultra-hi-flux LED technology! — Makes even dirty oil leaks glow brightly! Powered by a rechargeable NiMH battery (included). Provides 90 minutes of continuous inspection between charges. 100,000-hour LED life. Electronic Intensity Stabilizer assures consistent performance. Beam strength will not weaken between charges! Includes smart AC and DC chargers, UV-absorbing glasses, belt holster and padded carrying case. AC charger available in 120V, 230V, 240V or 100V versions.